Sometimes in relationships, it is the little things that make a difference. Who doesn't want to know the other person loves them, is thinking of them etc... It does not have to cost a thing to let your love know they are the bee's knees as far as you are concerned. Take a second today to let them know you care in a simple cute way. Romantic Tip: While your love is showering, sneak in and write, "I love you" on the steamed mirror. Living in San Diego, you get spoiled with the great Mexican food. 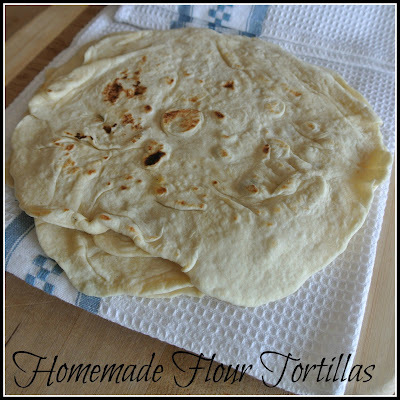 On any given corner you can get fresh hand rolled tortillas. There really isn't anything better. I know it seems daunting, but they are actually really really easy to make, and the taste is SO much better. If you have 20 minutes, you can have the best burrito ever. Give it a try! This recipe makes 12 tortillas. 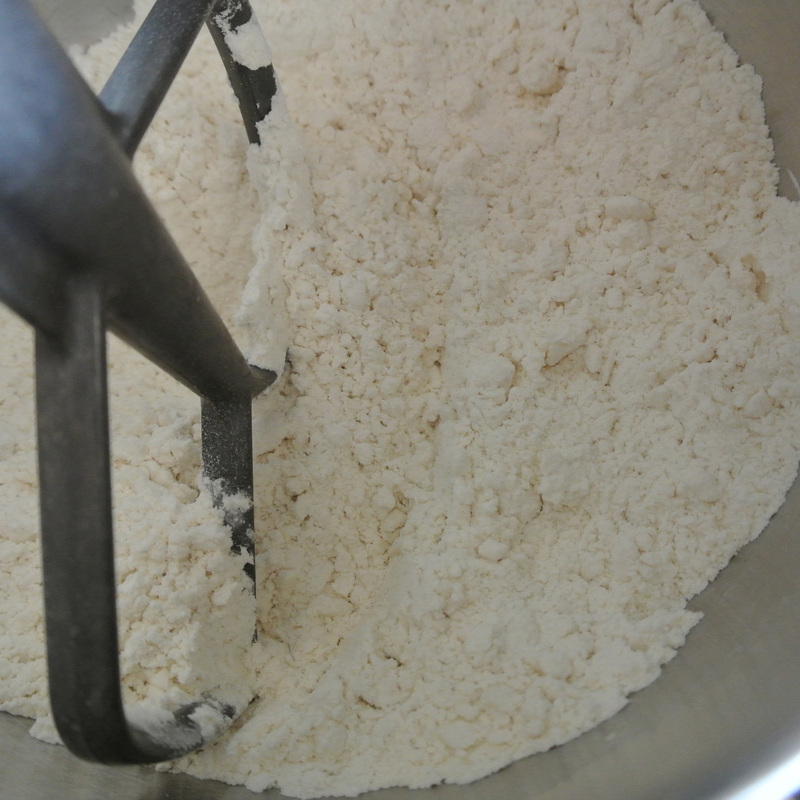 In a large bowl add the flour, baking powder, and salt, stir. 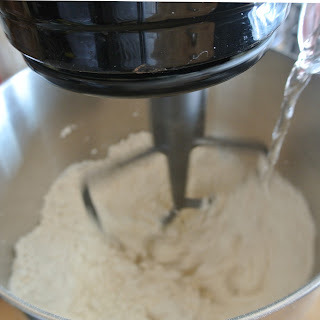 Fit your mixer with paddle attachment. 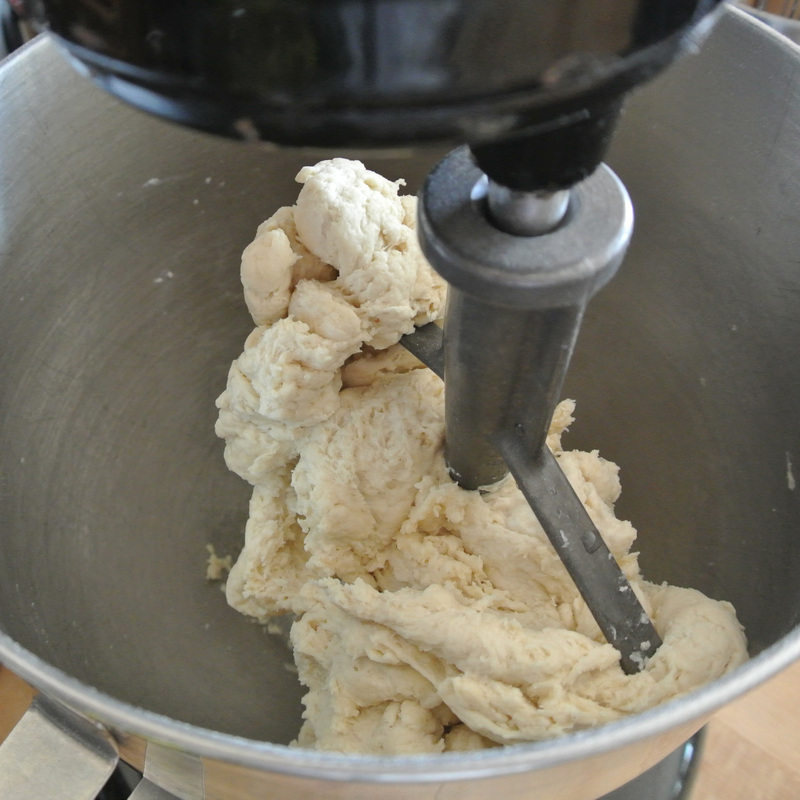 Add the shortening and process until the mixture is uniformly crumbly. 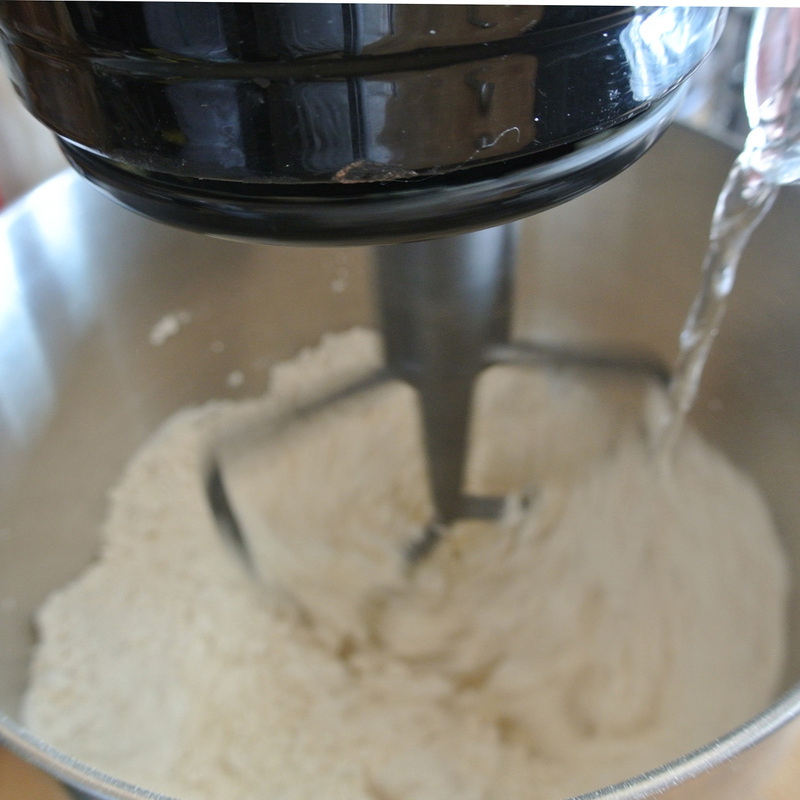 With the mixer on, slowly stream in the water, just until the dry ingredients form a ball and starts traveling around the bowl. 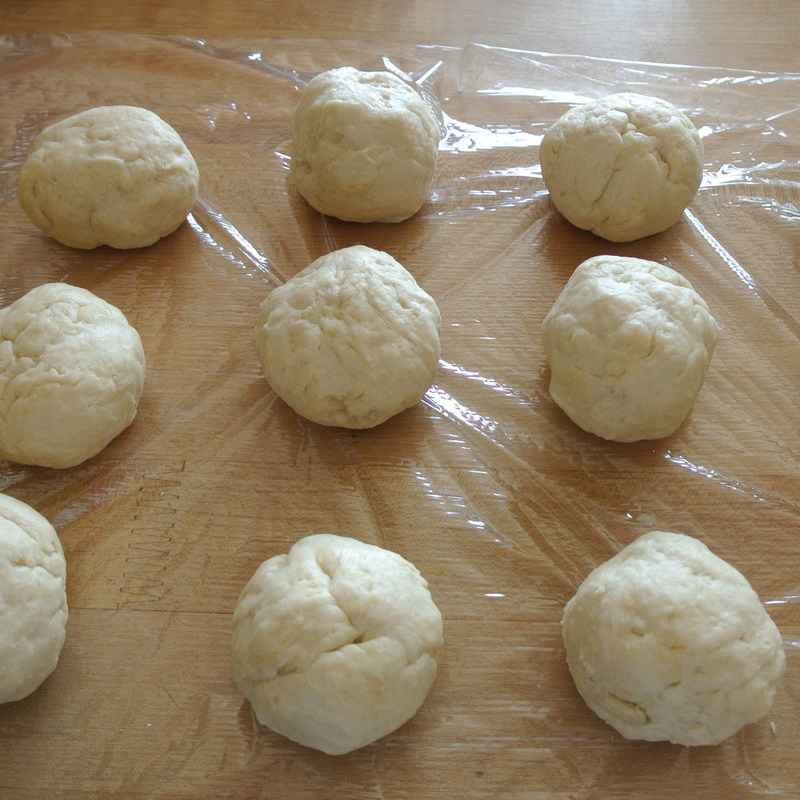 Let the dough knead for about 30 seconds. The dough should clean the sides of the bowl, be soft and not overly sticky. 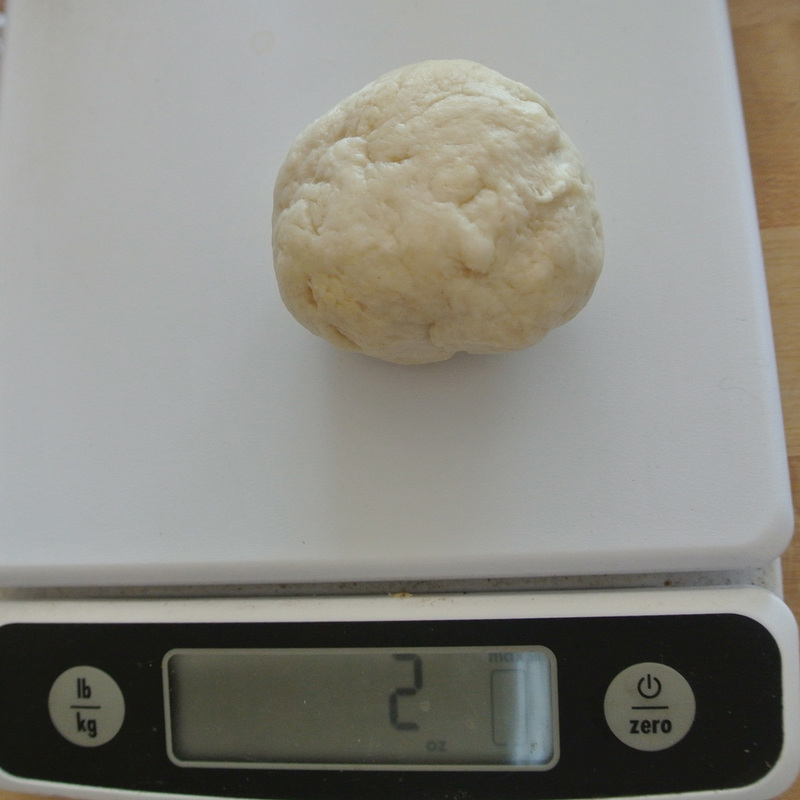 Turn out onto a flour-dusted surface and divide dough into 2 ounces balls. 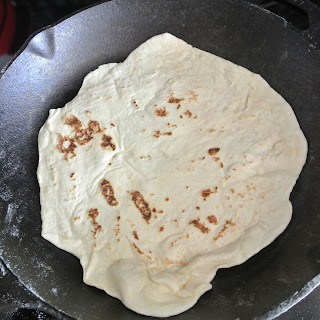 Place on non stick surface. 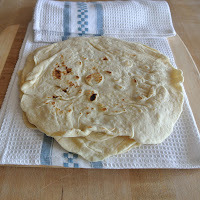 I use plastic wrap, and then cover with a kitchen towel and let rest for 10 minutes. Heat a large skillet to medium heat. I use cast iron, but you can use a heavy bottomed skillet too. 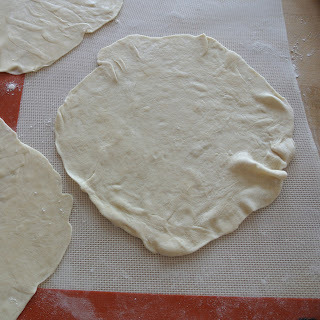 Lay tortilla flat in the heated pan and cook on each side for about 10 to 20 seconds, until the bubbled areas are brown. DON'T OVERCOOK! Keep covered with a kitchen towel to keep warm and pliable. Serve warm. 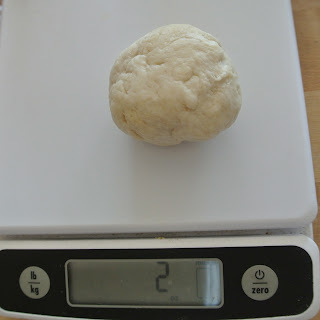 Store extras in an airtight container for one week or freeze.